UFS (Universal Frame System) – mounting holes have 165mm and are placed on the same level. Boot is equipped with nubs around threaded holes, which fit in to corresponding cavities in frame. Every UFS frame fits every boot using this standard. Antirocker setup frame – frame comes equipped with two wheels for rolling, along with two smaller, inner wheels which are made from much harder material and do not touch the ground. This makes groove tricks easier, however makes whole setup slower, turning is not as fluid as on flat and wheels wear faster due to increased pressure on each one of them. The after mentioned smaller wheels are called antirockers or grindwheels and serve to help with locking the grind on an obstacle. Additionaly, they reduce frame wear. Kizer Element was one of the most advanced aggressive frames in history and to this day is considered by many as one of the best frames for skating flat. A feature that made it standing ahead of competition was aluminium core – thanks to it, the energy transfer and strength of Element were unmatched. On the other hand, the fact that sidewalls and replaceable H-block were attached by additional screws made the whole thing heavier than competition. Moreover, it was never a very good choice for skating street, where much cheaper composite frames were a more sensible solution. After several years, Kizer is back with Element II frame and fresh perspective on the frame applications. First of all, Element II is a frame designed for people who skate park. Why? It is made entirely out of aluminium – the goal was to create a frame that skates fast and slides well on coping and rails. Nothing beast that metal-on-metal grinding feel! The frame is much lighter than its predecessor thanks to lack of additional plastic parts, one-piece 8mm axles and built-in frame spacers. Staying true to its heritage, the Element II is made for skating flat – it uses a hybrid wheel setup 68-60-60-68 and measures 260mm. By tinkering with wheel sizes (for example using 64mm wheels on the outside axles) you can easily achieve a rockered setup allowing for easier, quicker turns. 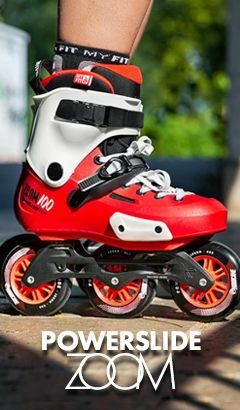 Wheels are big enough to allow for smooth and fast skating, which is amplified even further by a rigidity of full aluminium frame. Thanks to wheel setup, there is plenty of space for H-block, which also protects inner wheels, preventing wheel bite. The H-block usually wears out much quicker than frame walls and thus, it is replaceable to extend the frame longevity. This element was also made entirely out of aluminium! Skating flat becomes popular again after over two decades of anitrocker and freestyle setups craze. 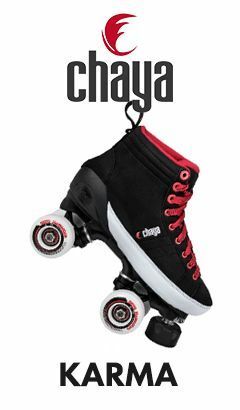 Element II is a great solution for skaters who spend most of their time riding park and prefer eight wheels on the ground.